Alter Domus (MM2H) Sdn. Bhd. obtained the first license to be a sponsor for MM2H program from the Malaysian Ministry of Tourism in 2006. We are proud to be the first licensee of this program with the license number MM2H/001. We have been helping foreigners with long-term visas since 2002, way before the licensing requirements were implemented. 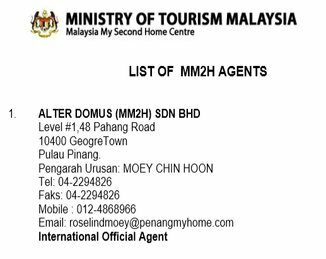 If you refer to an old file, the first file issued by the Ministry of Tourism showing the list of licensed MM2H sponsors, we are of course in the first position with a comment "International Official Agent". The location of the said file is still at the official website: http://mm2h.gov.my/pdf/Licensed%20companies.pdf. In the list of 132 companies that were initially licensed by the Ministry, many of them are not operating now. We have been very active since 2004 and we are still doing a lot of applications now. Many companies have alternate or side businesses and MM2H is just one of the many businesses they are conducting. Alter Domus does nothing but MM2H only. We don’t sell properties, cars, insurance or anything else. We do visa application and renewal, relocation assistance and home management only. Nothing else. We are very focused and specialized in what we do. We have a lot of experience doing visa application. We do one thing and we do it well. We are not jack of all trades. Although we are very busy, we work towards over-delivering what we are expected to do. We do not really like to use the term "agents" or "MM2H agents". We prefer the term "sponsors". Therefore, Alter Domus is your MM2H sponsor for your retirement in Malaysia under the Malaysia My Second Home or MM2H visa. We are liable for your stay here as we have to put in a "personal bond" for your application. We have sponsored thousands of applicants and helped many others who have not applied through Alter Domus. We are now helping them with renewals of the visa, home management or any other services they need. We are also helping their friends and relatives with the visa. Oil and gas personnel. Why base in an expensive country like USA, Singapore or Australia when you can let your family stay here while you are on the oil rig for 3 weeks at a time? Freelance or mobile consultant who can work via internet or telephone. For our clients, time is money and they need professional assistance from a MM2H agent for the MM2H Program. They do not have the opportunity to take leave from work just to complete the documentation, submit the documents and follow up with the MM2H Center on their application. Their vacation days are more expensive than doing the MM2H on their own. They need a sponsor who can guide them all the way and with the least hassle. They want quick (or even instant) response to their questions and the answers has to be accurate and easily understood. There is no "trying our luck" and everything must be done systematically and precisely. They want a very high chance of success. 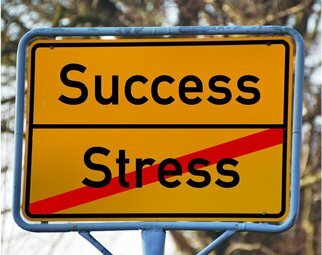 Our clients appreciate "instant local knowledge" and do not want "trial and error", which can be an expensive event with an untoward experience. Our advice is free for life and it can be anything under the sun. Our mobile phones are turned on all the time and we will help them in any emergencies. Latest update from Ministry of Tourism (MOT). MOT rarely updates of performance of agents. As for Auguest 2016, we are the third largest sponsor in Malaysia. The top two sponsors are doing mainly the Chinese, Bangladeshi and other non-English speaking countries. One of them have a website but it is only in Chinese. The other does not even have a website. Experience counts. It is really important to select one with experience on handling the application. Our company focuses only on Western developed countries like Australia, New Zealand, Europe, North America and Singapore. We are not a real estate agency, developer, tour and travels agency, legal firms or any other types of business. Alter Domus focuses on Malaysia My Second Home only. We don't push our clients to buy properties, cars, insurance or any other unrelated services.